Golden-150 is Double Hopper Auto Flip Banknote Counter Machine. This Banknote Counter machine can two method place currency stack, place currency stack face down evenly on front feeder plate, or place currency stack in vertical position on feeder plate. 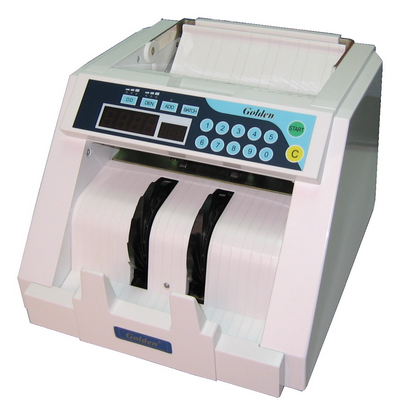 This Banknote Counter machine Suitable for Multi-Currency and Multi-Function. Banknotes of different width can be detected. Pre-set and Variable Batch Counting. Double Hopper Auto Flip (face down evenly or vertical position). Detection Function UV & MG.